Well, today is world Alzheimer's day. 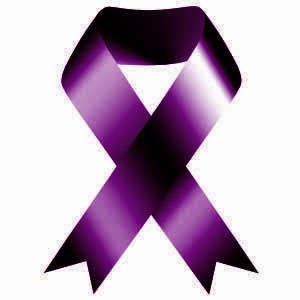 World Alzheimer's Day is, September 21st each year. It's a day when Alzheimer's organizations around the globe concentrate their efforts on raising awareness about Alzheimer's. Mom was up at the crack of dawn today. Not really, but she was up at 7:00, all on her own. She had coffee and breakfast then made a trip to the bathroom. When she came back from the bathroom I think she had forgotten that she had already eaten and wanted breakfast. Instead of trying to explain it to her and getting in an argument, I just went a head and made her more, but she went back to bed after only eating one bite. Figures. I put her first cup of coffee in one of her red cups, but some how she found the other cup that's a deeper red and changed cups. She won't drink coffee from a cup that isn't red. Oh well, it keeps her happy and it only takes a second to wash out a cup. I'm sure that since she was up so early, she will be up again in a bit, so I had better go. Oh, by the way, today is a better day.